Jenny holds a degree in Social Work and a Masters of Couple and Family Therapy obtained at the University of NSW. She began her career in 1995 in Adult Community Mental Health in Western Sydney where she worked on a crisis mental health team. She then worked with young people with first episode psychosis. After this she began her work with adolescents and families at Westmead Hospital Department of Child, Adolescent and Family Psychiatry (Redbank House) where she stayed for 7 years. 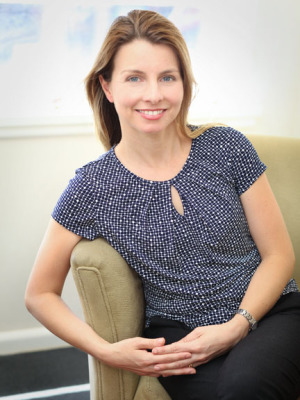 Jenny first worked in private practice in Neutral Bay at the Family Systems Institute and then moved to The Hills Clinic, Hornsby. She is now based in her own rooms located at Gordon. She has presented workshops on the importance of enhancing secure attachments, teaching emotion regulation in children and promoting resilience, along with strategies for families where a loved one has a mental illness. She has also run workshops for the Macquarie University Psychology Program on working with families. Jenny uses a person centred approach which emphasises the role of the therapeutic relationship as being a vehicle for change. It is hoped that in therapy, the client can experience their emotions as important and tolerable, enabling the client to make sense of their emotions and live life with more control, satisfaction and freedom. Jenny emphasises a “systems view” which places special importance on interpersonal and relationship dynamics rather than a person's personality or "diagnosis". At the same time, recognising the interplay between the interpersonal and intrapersonal. Jenny has been trained in Bowen Family Systems Theory which highlights the role family of origin in present relationships along with Milan Family Systems. The importance of early attachment relationships are also a key part of work. In addition to a foundation in family systems work, Jenny is familiar with the key principles used in the following approaches. Training parents to use the Positive Parenting Program. Jenny provides supervision for other health professionals and is listed on the AASW supervision register. She has worked in teams where supervision has been provided via the use of one-way screens and has also had individual professional supervision, group supervision and peer supervision/mentoring. Jenny has professional individual supervision and attends regular training to update her skills.